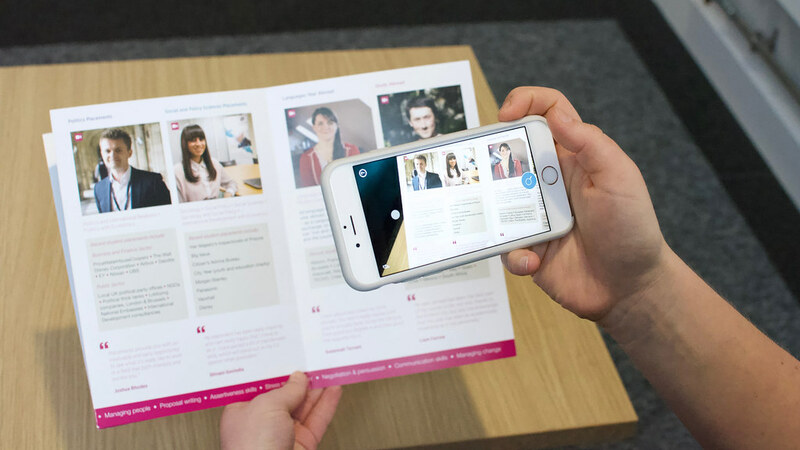 The HP Reveal app can be used to view video content from some of our brochures using augmented reality. Find out how to download and configure the app. Download the free HP Reveal app by searching the App Store or Google Play Store. Open the web browser on your device and visit the University of Bath channel. In the HP Reveal app, use the camera view and hold your device over images tagged with the HP Reveal app. Watch the videos come to life! You can choose one of the videos by tapping the image to play. You can tap again to choose another. Double tap to close.